One of the most famous and enviable cars in automotive history, the Jaguar E-Type, this year celebrates the 50th anniversary. 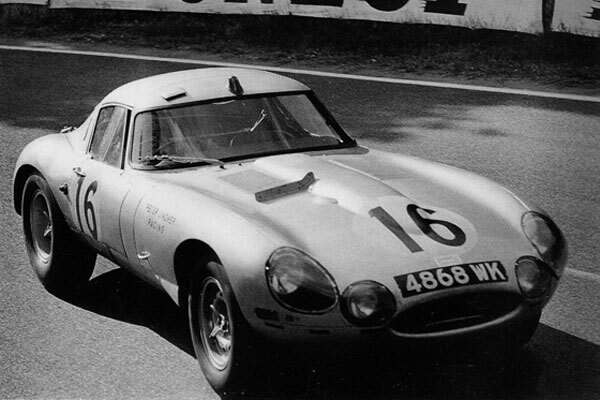 Back in 1964, a Low Drag lightweight Jaguar E-Type met with a crash at the Montlhery circuit in France. The crash took lives of the driver Peter Lindner, along with another driver and two marshals. When it crashed, the unique 1964 E-type Jaguar was so badly damaged that a complete restoration was thought to be impossible. But, it has actually happened now, thanks to Peter Neumark, owner of Classic Motor Car business (CMC) in Bridgnorth. After 7,000 hours of restoration in Shropshire the covers have off what is probably the most valuable Jaguar E-Type ever, worth a cool £5 million ($8.2 million). 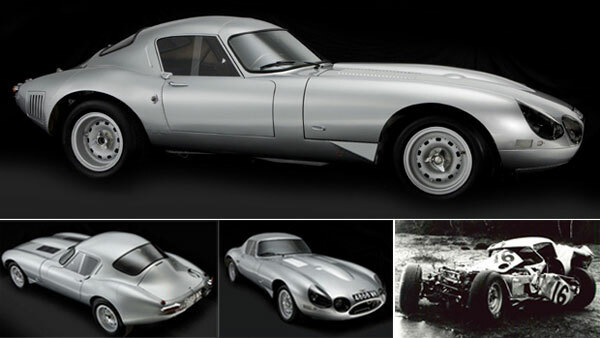 The said Jaguar E-Type has now been restored to its former glory by using more than 90 per cent of the original parts. Neumark started the restoration process four years ago. This is one of the most major restorations ever to take place in the world. Many said that it could not be done but we have proved them wrong, he said. The restoration was assisted by members of Lindner’s own family, who provided old photographs and cine footage of the car. Each panel was flattened, repaired, reformed into the original shape and then the structure was riveted and spot welded together as per the original construction method. Neumark has installed more than £30,000 ($49,500) worth of welding equipment during the restoration process. This E-Type was one of only 12 lightweight models built by Jaguar in 1963. Few cars have created a bigger shockwave in the automotive industry than Jaguar’s E-Type at its 1961 Geneva Show debut. Its styling was quite a departure from Jaguar’s previous sportscar range with the XK120 – 150. Its long nose was a completely new feature that spawned some subsequent automotive design trends. Technically, it shared little with other Jaguar road cars, but instead adopted details from the successful Le Mans racers. At the Geneva launch, the E-Type was available as a Fixed Head Coupe and a Roadster. 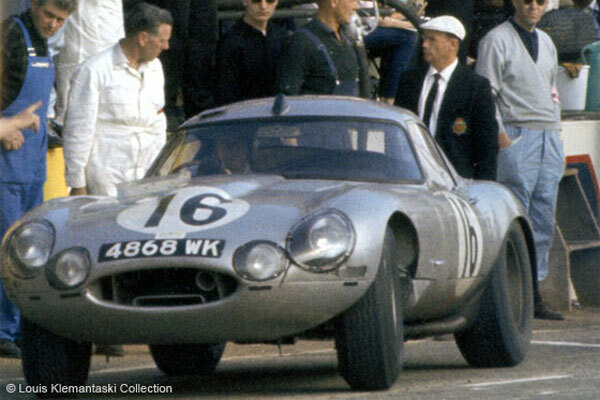 Compared to its competition, the E-Type was cheaper, better looking, and a lot faster, which made it an immediate hit. A large number of E-Type competition specials were constructed by privateers, but it took two years before Jaguar started to explore the possibilities of a works developed racing E-Type. Commonly referred to as ‘Lightweight E-Types’, the works racers were considerably lighter compared to the road cars and featured a very powerful fuel injected version of the six cylinder engine. Much weight was saved by using an aluminium alloy for the monocoque chassis. Eventually only 12 examples in various guises were constructed of the works E-Type racer, which remains as one of the most valuable Jaguar ever built. The first Lightweight E-Types were roadsters fitted with a hardtop, which wasn’t the most aerodynamic. For the 1964 Le Mans race Jaguar engineer Malcolm Sawyer developed a new coupe body designed by Dr. Samir Klat, specifically designed for the long straights. These ‘Low Drag Coupes’ featured a completely new rear end, and also a slightly revised nose. After being raced as a roadster in 1963, the featured example received a low drag body in 1964. The career highlight of this Lightweight was the victory in the 1964 Brands Hatch race, which was one of the rare occasions an E-Type successfully challenged Ferrari’s supremacy.